Seems like Candy Crush Saga developer King.com's process of "defending its intellectual property" is now having tangible effects on the real world. Stoic Games has publicly replied to the trademark dispute over the word "saga," and fans are not going to be pleased with what they read. Co-founder Alex Thomas has issued a statement about the dispute, believing that even though King.com is batting its eyelashes to the public and claiming to not be infringing on The Banner Saga's title, the dispute actually states otherwise. "They've blocked our trademark and extended the deadline for the opposition twice so that we are unable to have the rights to the name," Thomas claimed while speaking with Polygon. "Essentially, we are not allowed to own the name 'The Banner Saga' for our game about a viking epic, because King.com says they have claimed rights to the noun 'saga,' which means 'a viking epic,' forever more in the realm of games." "Two years ago, the three of us at Stoic set out to make an epic viking game: The Banner Saga. We did, and people loved it, so we're making another one. We won't make a viking saga without the word Saga, and we don't appreciate anyone telling us we can't. King.com claims they're not attempting to prevent us from using The Banner Saga, and yet their legal opposition to our trademark filing remains. We're humbled by the outpouring of support and honored to have others stand with us for the right to their own Saga. We just want to make great games." So, Stoic Games will not be making another viking saga with the word "Saga" in the title. Some have taken that as the sequel in the planned series being canned, but it could also mean that just the title might be be changed. Stoic Games raised over $700,000 in Kickstarter to make a viking game series, and I think that the three developers fully plan on living up to its promise. Candy Crush Saga's developer issued its own statement earlier in the day, one that made its way to our inbox as well, saying that it was not interested in relinquishing The Banner Saga of its name. The company claims its hands are tied because it must defend the trademark at all costs, even though it doesn't own the word "saga" yet. 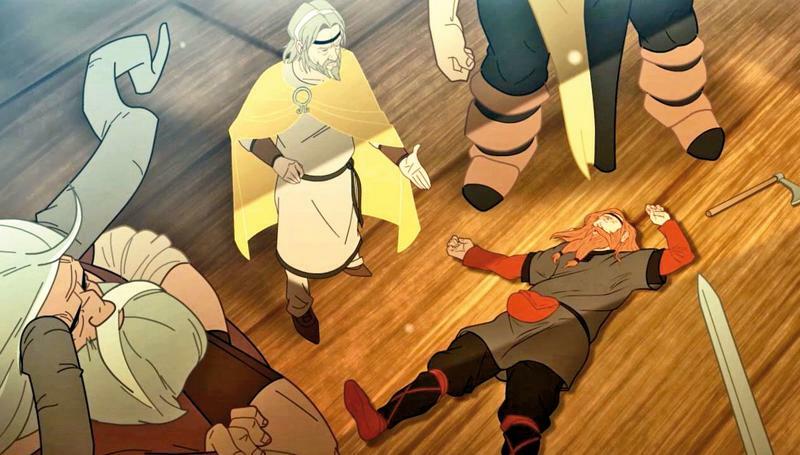 "King has not and is not trying to stop Banner Saga from using its name. We do not have any concerns that Banner Saga is trying build on our brand or our content. However, like any prudent company, we need to take all appropriate steps to protect our IP, both now and in the future. In this case, that means preserving our ability to enforce our rights in cases where other developers may try to use the Saga mark in a way which infringes our IP rights and causes player confusion. If we had not opposed Banner Saga's trade mark application, it would be much easier for real copy cats to argue that their use of 'Saga' was legitimate. This is an important issue for King because we already have a series of games where 'Saga' is key to the brand which our players associate with a King game; Candy Crush Saga, Bubble Witch Saga, Pet Rescue Saga, Farm Heroes Saga and so on. All of these titles have already faced substantive trademark and copyright issues with clones. " Although King.com did not specify so, these mentioned games are, in fact, clones. Best line of the statement is "We do not have any concerns that Banner Saga is trying [to] build on our brand of our content," which is a straight up admission to this farce that hopefully somebody official might stumble across. I've said my piece already in several articles, but this is the first time where it has been confirmed that King.com's actions have interfered with the work of people who bore no ill and wanted to just make a game about vikings. I fear this will not be the final chapter of this… saga, shoot can I use that word? Please don't tell anyone.